Welcome to the new era of Globalization 4.0. Whom does it help, and how? Or, does it simply ring alarm bells? 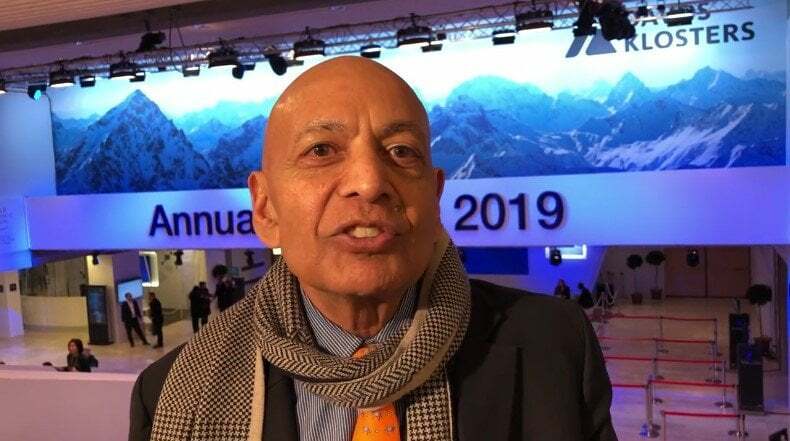 Anil K. Gupta, management professor at the University of Maryland’s Robert H. Smith School of Business, spent much of the past week in Davos, Switzerland, pondering Globalization 4.0, as an invitee of the World Economic Forum at its annual meeting. Gupta, the Michael Dingman Chair in Strategy and Globalization and ranked by Thinkers50 as one of the world’s most influential management thinkers, is a Davos regular. He’s been studying and writing about globalization for 30 years. “Globalization 1.0 started when entities such as the British East India Company went global in the search for markets and raw materials,” Gupta said, speaking at the sidelines of the annual forum. Globalization 2.0 began around 1980, he says, as manufacturers in the United States and other advanced economies began outsourcing work to Asian countries. Globalization 3.0 commenced in the 1990s with the globalization of R&D, or research and development, as companies like IBM, Microsoft and GE built R&D centers not just in their home countries, but also in a small number of selected places around the world such as Cambridge, Shanghai and Bangalore. Now is the era of Globalization 4.0, fueled by the ubiquitous and rapid spread of digital technologies. It’s an era that is affecting, permeating and transforming all of the first three layers of globalization, and transforming the nature of ties among countries. But it might not be the impact you think. Although many analysts suggest that the new globalization is characterized by sluggishness — or “Slowbalisation” as the cover story in the latest issue of Economist charges — Gupta says that’s highly inaccurate. He adds that, according to estimates by the global consulting firm McKinsey, cross-border flows of data now make a greater contribution to worldwide gross domestic product than trade in physical goods. Need an example of the new globalization? Look at Tesla, Gupta says. The car company headed by Elon Musk recently announced it would open a gigafactory in China to build its cars, rather than importing the vehicles from elsewhere. It makes sense in the new globalization. Why build cars for the Chinese market in the U.S. or elsewhere and then export the cars to China? Even if China had zero tariffs on imported cars, it’d be counterproductive to incur unnecessary shipping and logistics expenses. Other examples? Netflix, Amazon Video, HBO, Facebook, WhatsApp, Instagram, Android. Each company operates globally via digital transfer of data, not the movement of goods. Of course, digital technologies are also making the traditional trade in physical goods more efficient, with things like paperless customs clearance and the use of blockchain technology to manage insurance contracts. “Is globalization 4.0 good? I think the answer to that depends very much on which countries we talk about,” he says. Related video: Anil K. Gupta on Globalization 4.0, from Davos. Author: Smith Brain TrustWorking professionals with an interest in the Washington, D.C., region have a new source for bite-sized business insights, delivered weekly to their inboxes from the University of Maryland’s Robert H. Smith School of Business.